Discussion in 'Pokémon Manga Discussion' started by shoz999, Aug 14, 2018. 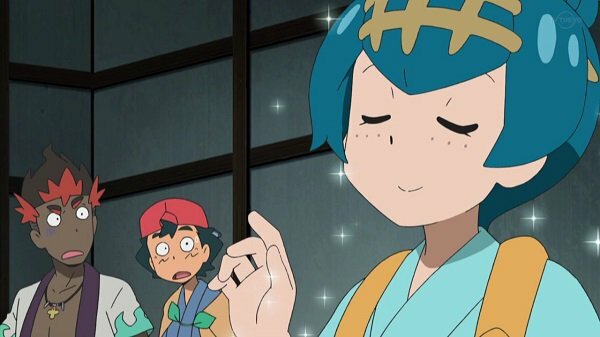 Although some fans assume that Blake, Whitley and Hugh will be the first trio to not have the full set of Unova starters, what if that's actually wrong? It's probably nothing new but so far Blake owns Dewott (the water Unova starter) and that leaves with Snivy and Tepig and there are two unevolved forms of Snivy and Tepig owned by Cheren and White that have, as of this creation of this thread, have made cameo's in the BW2 series early on and could possibly fill in huge roles later on. Whitely and Hugh have no Unova Starter Pokemon as of yet. The other two, outside of Dewott who is the Water Unova Starter owned by Blake, are Snivy and Tepig. Coincidentally there is an unevolved form of Snivy, who belongs to Cheren, and Tepig, who belongs to Whitley. If they join Whitley and Hugh, it will complete the second Unova trio owning the starters otherwise this will be the first time that a trio of main characters don't have the full set of starters in Adventures. 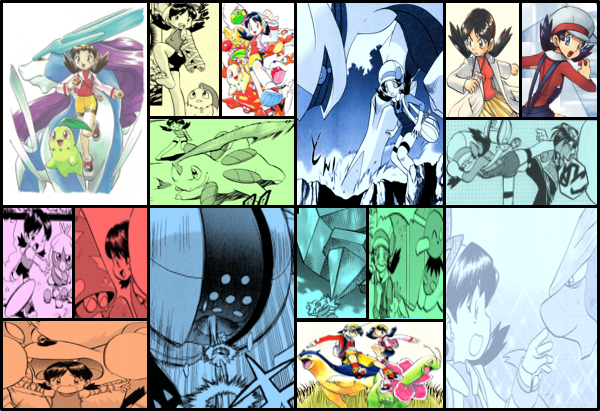 Cheren and White mirrors Hugh and Whitley's roles as the rival and female protagonist. Cheren himself stated that he was unable to evolve Snivy. It's said to possibly because that Cheren mistreated it but what if there is another reason? That Snivy is "incompatible" with Cheren and that Hugh will be the one to evolve Snivy. Tepig has a strong connection towards N, a person Whitley deeply admires. Also while Whitley is a former Team Plasma member, she is a good battler and Tepig would be a fitting starter for her. If it does happen, it's possible will see them jump to there third stages quickly due to how much experience has accumulated over the years. Unless some other Snivy and Tepig pops out of nowhere, these are the only two other Snivy and Tepigs seen throughout the course of the series other than Black's Emboar and White's Serperior who are the final stages of Snivy and Tepig. This just makes a lot of sense from the writer's POV, who likes to stuff down as much game details as possible while keeping up with Adventures tradition and that is the male, female protagonists and the rival who form a trio of characters own a starter. Keep in mind, Pokemon Adventures is no stranger to main characters getting Pokemon at the last second, so even with the tight schedule, this should be no surprise. I totally believe it for Tepig, but if Lack-two didn't get Bianca's Oshawott, why would Cheren give his Snivy to anyone? Seems kind of random. Simply because it didn't had much luck with Cheren as it failed to evolve, as stated many times by Cheren due to the fact that it's been either mistreated but now it could be because of an entirely different reason and that Snivy really hasn't gotten a lot of attention or dedicated writing, same with Oshawott unfortunately. Plus Hugh has actually already got some short interactions from Snivy and there both rival characters. Also it's really the only other Snivy out there for Hugh unless the writer decides to randomly throw in a different Snivy. Plus Hugh is a hot-blooded trainer with lots of determination, similar to Black, and that's probably what Snivy wants from a trainer. Other than that, really have no clue. Gigi is all but confirmed to go with Whi-Two. As for Snivy and Hugh, maybe, but I wouldn't count on it. There's no reason because Hugh isn't a main character. I agree with Whitley and Tepig, but I don't know about Hugh having Snivy. It would mean that he would have to work with Blake and Whitley, and I don't see him as the kind of guy who works well with others. The way I see it, Lack-Two and Whi-Two are meant to be based of the concept of yin-yang, or two opposing forces (a cop and a criminal) are actually complimentary. This is why Lack has five Pokemon and Whi only one. Lack is a cop and thus needs a varied team to help him stop crime. Whi is a former member of Team Plasma, so why would she want more Pokemon? Foongy technically isn't even officially hers as she never caught it in a Poke Ball. Snivy is Cheren's and there is no reason why it needs to be given up. Although some fans assume that Blake, Whitley and Hugh will be the first trio to not have the full set of Unova starters, what if that's actually wrong? Hugh is not a Pokedex holder. The story has made no indication hint that he'll become one. It's probably nothing new but so far Blake owns Dewott (the water Unova starter) and that leaves with Snivy and Tepig and there are two unevolved forms of Snivy and Tepig owned by Cheren and White that have, as of this creation of this thread, have made cameo's in the BW2 series early on and could possibly fill in huge roles later on. If Cheren has to give up his Snivy, then why didn't Bianca or Cedric give up their Oshawott or Samurott? That's not fair at all. There is no rule stating that only Pokedex holders are allowed to have starters; we've seen multiple other characters use them (Tucker, for example). And there are Dex holders that don't have starters, like Yellow (Chuchu doesn't count). Lack-Two is still an Unova Pokedex holder. Even if he came later, he still already completes the set that Black and White already started. And why do we even need a second Emboar and Serperior? What purpose would this serve? He was brainwashed by Team Plasma; he wasn't himself. Also, it's not like he cares about strength anymore, so why does it matter to him that his starter hasn't evolved? X and Y are a duo with no rival. What "interactions?" As far as I remember, the only significant panel time these two shared was when Cheren used Snivy to quiet Hugh when he interrupted class. They didn't even look at each other. Snivy has shown no interest in wanting to become stronger. It clearly has nothing against Cheren. All the more reason why this is a vague yet interesting and highly likely theory, simply because this is an adaptation of the video games of course, the writer does like to stuff as much details in as possible. This I feel is a major reason why this is simply likely. Although your viewpoint of Whitley's and Blake's teams are interesting I have this strange feeling that Whitley will get more Pokemon, just not through capturing and fighting but through N's merry friends of Pokemon. Just a hunch though, nothing heavy with reason. Honestly, I feel like that shouldn't ever be a good reason considering the writer is known to use the "Here! Take this powerful Pokemon to build up your team!" reason for multiple Pokedex Holders getting powerful Pokemon from, now that I think about it, Gym Leaders. I feel like it should be argued which Pokemon will or will not make up a Pokedex holder's team, not there is no reason at all and honestly, there is a lot of reason for Snivy to be on Hugh's team through the games and the vague hints laid out alone. Hugh is not a Pokedex holder. The story has made no effort to hint that he'll become one. Yeah but with BW2's tight schedule and Hugh having a fairly big role in the story and with Cheren as his teacher, has a Pokedex, and has a Snivy, it wouldn't surprise me if just appeared out of nowhere all of sudden. The writer is known to pull that kind of thing for many characters, trying to cram as much game details as possible. That really doesn't affect my theory at all. I'm saying their is potential two trio's of Unova starters that reflect Black's Emboar and White's Serperior. One Oshawott owned by Bianca, One Dewott owned by Blake, they reflect each other. One Serperior owned by White, one Snivy owned by Hugh. One Emboar owned by Black, one Tepig owned by Whitley. Even if it isn't fair, this is how I think it will work out since Oshawott is not the second water-type. True but what you say doesn't interfere with the fact that Whitley and Hugh can still have starters of their own. Outside of Yellow, it still a very strong trend of the Adventures series but who knows. The writer might surprise me that this will never happen. You do realize that Lack-Two is still an Unova Pokedex holder, right? Even if he came later, he still already completes the set that Black and White already started. True but that doesn't really interfere with the fact that Blake, Whitley and Hugh complete the trio together owning the full Unova starter set. I think your talking about a different "set"? Why do we need a Dewott? Also it doesn't necessarily have to be another Emboar and Serperior. It could be a Snivy and Tepig, who are popular in their original basic stage forms, for all we know. I could've sworn Cheren was amazed by N's sense of power with Zekrom, been a while since I've read BW. Also you gave me a much better and sound reason why Cheren would give Snivy to Hugh, that strength doesn't matter to him anymore and that he'd want Snivy to be off with a younger hot-blooded trainer on a new adventure rather than how he mistreated him back than on his adventure. True but it doesn't really discount the Male, Female and Rival trio tradition that is common throughout the series. That interaction! Yes! Well you got me there, that really is the only interaction I've noticed so your definitely right on that part. Too early to judge but there are other things Snivy might want, also I'm not sure if it was stated that Snivy had no interest in becoming stronger, although thinking about it, I don't think that's the likely reason he will be with Hugh. Not really much to go on for this theory but again, wouldn't surprise me because even though what you said is largely true, it doesn't really discount the fact that it is likely to happen simply because this is a theory built on the backbone of the games and the fact that Tepig and Snivy exist as the second Fire-type and Grass-type starters around. Other than that, you could be right. There's a chance of it not happening and we'd get the first trio of characters who don't have the full Unova starter set even though the opportunity is sitting right before them. Just something I thought should be brought up but you know the art of Pokemon Adventures book that features every single starter the Pokedex Holders owned. Is it a coincidence that the female Tepig is on Emboar's shoulder? Suuuuuuspiiiiicious. There's no Hugh or Snivy there but there is definitely Whitley who's one person close to Tepig.